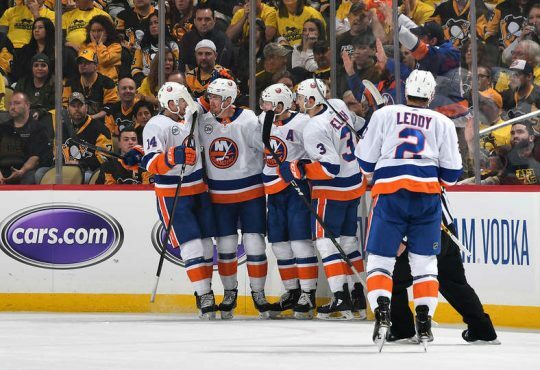 With only seven days remaining in the regular season, the Islanders find themselves worried only about playoff seeding. With their invitation secure, the only question is who they will play. It will also be a race to the finish to see who will win the Metro Division. 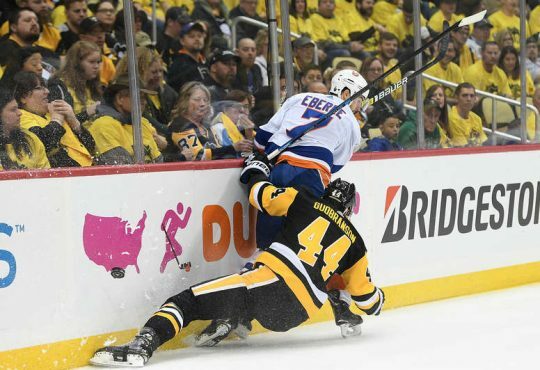 The Penguins and the Capitals were expected to be there, the Islanders not so much. As we start the week both the Islanders and Capitals have played one more game then the Penguins. The Isles are up 4 points and the Caps are up 7. We can assume that the Caps will finish in either first or second, and the Pens will finish either second, third, or possibly fourth but all three scenarios are in play for the Islanders. Sunday. Only the Penguins are in action. They play a 5pm game on the NHL network hosting the Carolina Hurricanes. This is Pittsburgh’s toughest game left. A win here would pretty much secure them a top three spot in the Metro and make them a true Metro playoff team instead of being a wild card. Monday. 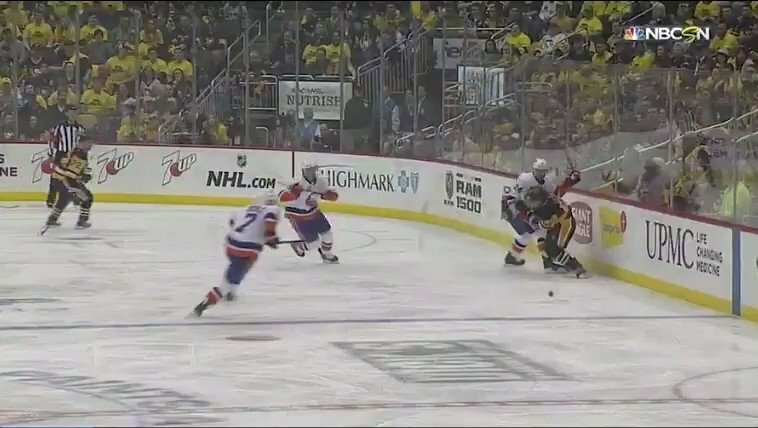 Both the Isles and Caps are in action. The Capitals play their final road game of the season, in Florida against the Panthers, while the Isles play their final home game of the season against the Maple Leafs. Tuesday. Pittsburgh plays the front half of a home and home against Detroit. This looks like it should be four points for the Pens. All three teams will be even in games played, and will be for the remainder of the season. Thursday. All three are in action. This time it’s the Islanders turn to play in Florida. The Pens visit Detroit to finish their home and home. The Caps host Montreal. This may be the best chance for the Caps to drop a point, since the Habs are still fighting for that last spot. Saturday. The Pens host the Rangers, while the Islanders play in Washington against the Caps. If the Islanders win Monday and Thursday (not in a shootout), and the Caps lose either of those nights, this game would be for the division championship. 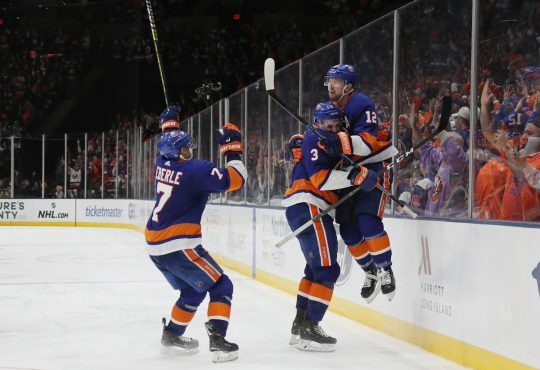 While it may seem unlikely due to the schedule, it’s not outrageous to think that Saturday nights could be a Division Championship game, and for the Islanders, it would be a huge success if they could wrestle that honor away from the Caps. It has been over 30 years since the Isles have won a division championship. The best way to remember this season would be to put a banner in the rafters. While a Metropolitan Division Championship, may be ho hum to others, this would be the culmination of the best season in a generation. 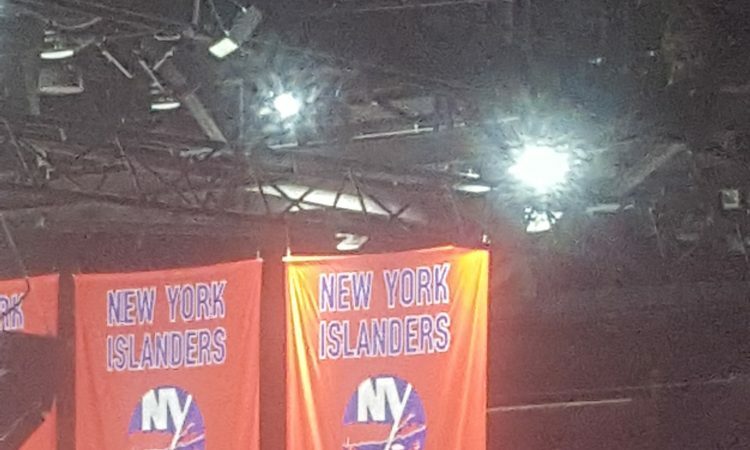 I’m an adult who has been an Islanders fan for all of my life, but when I take my kids to the Coliseum, I have no stories about any of the banners hanging up. It would be nice for that to change. Yes, most teams are judged on their playoff success, but when you have an unexpected season like this, any accolade should be cherished. Hockey is a sport where a hot goalie can steal a series, and with the parity in this division, nobody is the clear favorite to get to the Conference Championship. 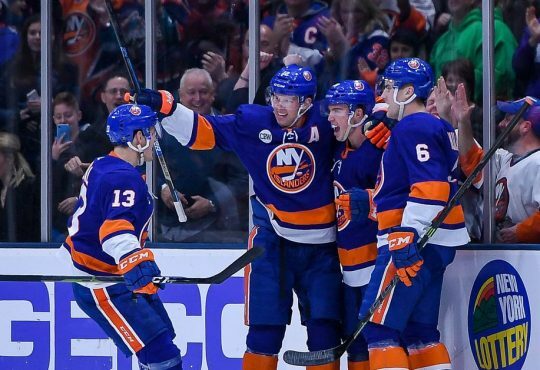 If the Islanders were to lose the series, all the experts who picked against them will claim some sort of victory (no matter how the series would actually play out). There is little doubt that most teams are judged on the success they have in the playoffs. If they are a good playoff team, they are judged to have “it” and are extremely dedicated to winning at all costs. If they lose in the playoffs they don’t have “it”, they were either a fluke or they cracked under the pressure. Even though these games are settled by the closest of margins, there is no in between, your great or chokers. It is time for the Islanders to raise a new banner to the rafters. I’m not advocating for a Nashville Predators like ceremony where they raised the Presidents Cup banner, to the mocking of the league. It would be nice to finally see a banner hanging that didn’t involve anyone from the dynasty teams. No matter the results in the playoffs, that would create a great takeaway for a memorable season. Since it truly has been a season to remember.